In which The Gay Recluse plays Abstract Jeopardy. Readers! Welcome to our new feature, Abstract Jeopardy, in which we pose one possible solution but leave the question open to debate. Let’s get started, shall we? Today’s possible solution: 50,000 red geraniums. 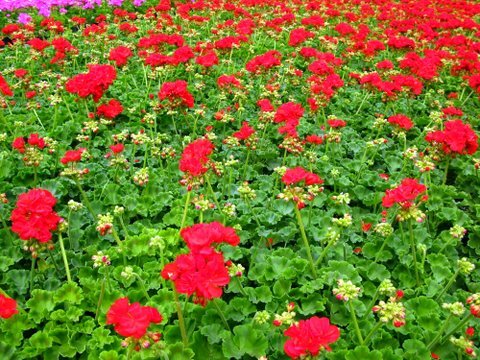 What is 100,000 geraniums minus 50,000 geraniums? You know what’s more impressive than your begonias? We heard you’re afraid of red flowers: what is the scariest thing you can imagine? Hey, what’s inside that quanza hut? If you could see one thing before you close your eyes tonight, what would it be? What was the rejected alternative title to the 1983 German pop hit: 99 Luftballons(99 red balloons)? Thanks, M. Snowe — I like it!